I visited seven countries including France, Germany, Denmark, Belguim, England, Spain, Portugal. 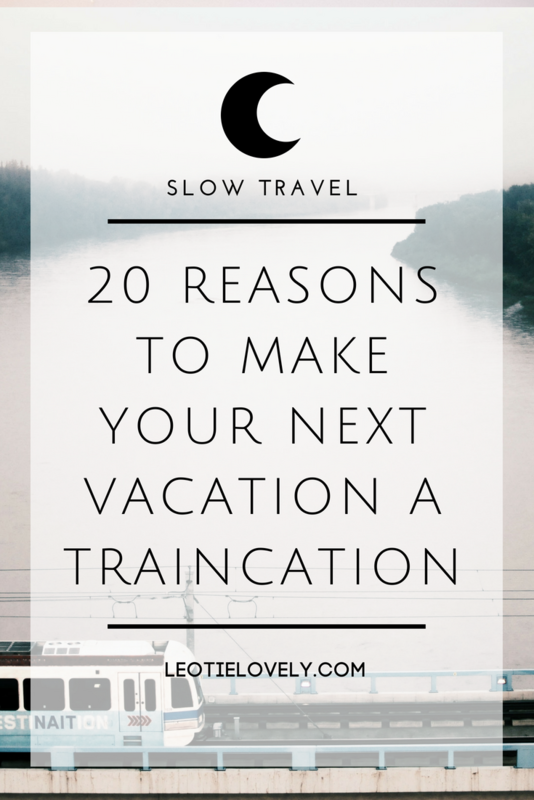 And through these adventures, I gathered a few reasons why I feel you ought to make your next vacation a 'traincation' as well. Over the month, I travelled to seven countries by train, offsetting my CO2 emissions by over 1,000 Kg, and cutting my footprint by up to 91% (depending on the type of train and length of the journey). Despite the plethora of low-cost airlines available in Europe, when I sat down to book my trip less than a month in advance of my departure, the entire journey, all stops included, would have cost me double travelling by air on the same days. I booked everything, apart from my Eurostar snap tickets to and from London with Loco2, a website which through the wonders of technology has married all of Europe's train systems together, allowing you to book from point A to point B ... or A to Z (in my case), seamlessly. Because you can bring your own food and drinks, temptations to purchase that microwaved plastic wrapped 'panini' are sure to be diminished. Most trains offer a bar carriage with a menu of items you can buy without packaging, and all stations I passed stopped off at in Denmark, Belgium, Germany, France, Spain and Portugal it's easier to do your journey waste free. Most tickets are also paperless and you don't have to have your liquids packed up in a plastic bag. I managed to remain nearly zero waste for the entire journey point A - point Z, apart from one cardboard packed sandwich, a bag of chips, and a beer on a particularly unprepared day. Though my trip from Paris to Copenhagen was undoubtedly slower than flying, my journies to and from the United Kingdom by train are significantly shorter door-to-door than flying. From my front door to my brother's front door in London, it takes a total of 3.5 hours by train. Flying takes exactly twice as long once you count the travel time to the airport outside the city, the waiting time at the airport, the flight time, the post-flight airport exit, and the train and tube into London. Already in Europe, travelling by train is faster than by plane and using the Eurostar you are only emitting 22 kg of CO2 compared to the 244 kg of CO2 emitted from flying the same route ... a total of 91% less CO2 in total. I had planned to be productive and work, documenting the journey constantly as I have done for other travels, but I found myself organically digitally detoxed instead. Though most trains have wifi of some sort, and plugs for charging your gear, despite my best intentions to be a worker bee, I found myself lost in thought, entranced by the views, engaged in cozy conversation, or being slowly rocked to sleep by the train's gentle sway. I finished three audiobooks, two physical books, wrote reflections on paper, and watched a whole season of some Viking show over my 80+ hours of travel between May and June. The train journies themselves felt like a vacation within a vacation in which every minute was all for me to do as I pleased. Being drenched in natural light from the large windows each seat is equipt with, rather than the artificial light on planes, offers us humanoids numerous physiological benefits including higher energy levels, better sleep, increased productivity, and heightened happiness. It's no secret that airlines are continuously making their seats smaller and lighter to fit more passengers on each plane and lighten the airplane's load. So, the big cushy seats and the extra leg room offered on the train at no additional cost, along with the freedom to walk around at will, makes all the difference in travel comfort and enjoyment. Though I didn't invest in the proper train hotel option which acts like a wee Airbnb on the rails, I did save 50-80€ each time I curled up in my cozy seat on an overnight journey instead of taking a day train and hunkering down in a hostel or hotel. I stumbled across the Loco2's website the first day I looked into my train travels and was mighty grateful for it. The site has married all of Europe's train systems together allowing you to book any train journey for the domestic UK or continental Europe in one go. It simplifies the booking process, encouraging people to ditch the plane for a lower-carbon journey by train. You can pay for your tickets in Pound Sterling, Euros or US dollars and navigate the website and apps using English, Spanish, Italian or German. If you can carry it, you can bring it on a train. I normally travel with just a carry on and a small 10 piece capsule wardrobe, but since we were packing up our flat for an undisclosed amount of time I brought my entire summer capsule, along with a possibly unnecessary pair of heels, zero waste paraphernalia, electronics and a camera in a 90L suitcase and two small backpacks (one by Samui the other handwoven). While it was nice to have this option without paying an additional cost like you would on any plane, I soon began to regret bringing so much, as each and every move was a cumbersome manoeuvre. Less is always more. The amount of friends and family who have had their luggage lost or wrecked by air travel this summer is astounding. On trains, your luggage is responsibility, putting the odds in your favour so long as your memory is ripe. 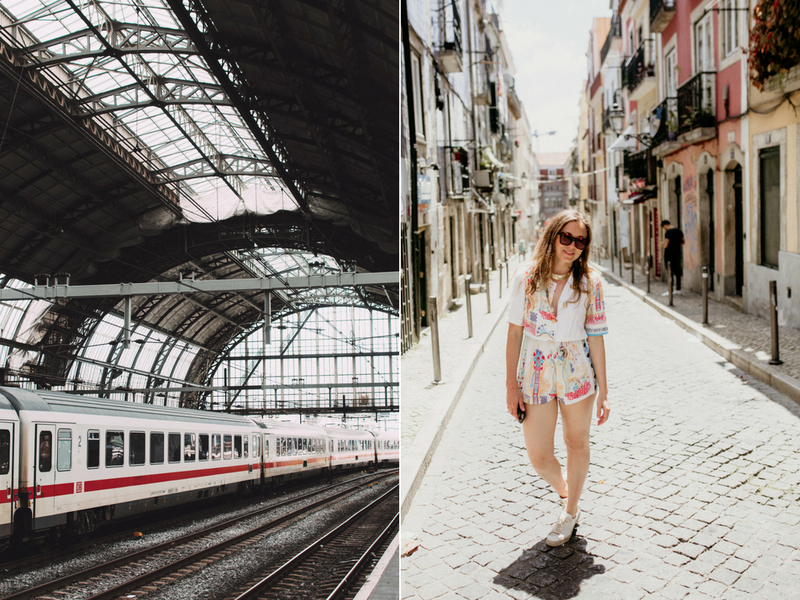 Most train stations are located in the centre of the city, so when you walk off the train, you're already where ya wanna to be, and don't need to spend extra cash or time on airport city transfers like you do when you travel by plane. 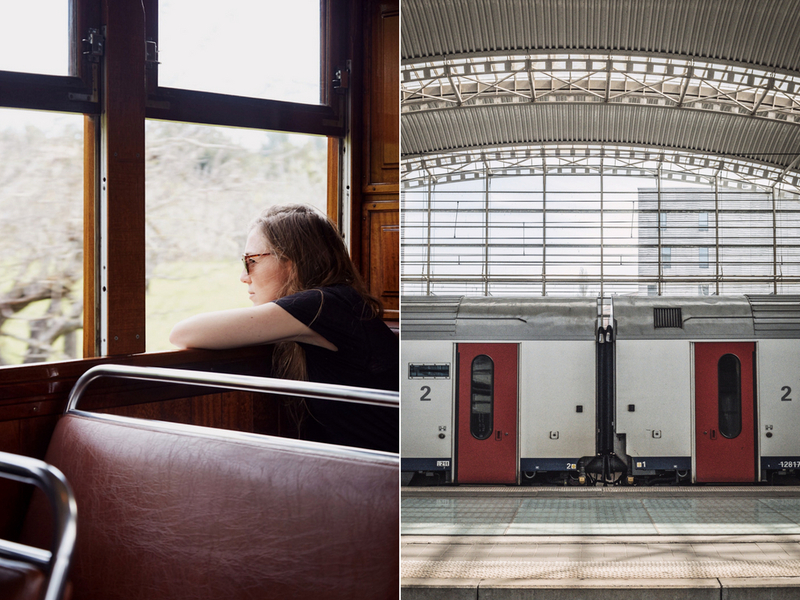 Journeys by train are meditative, offering plenty of time for reflection, reading, writing and wondering. Most train companies allow you to transfer or change your ticket for free (or a small fee), which is not the case for planes, especially those of the budget variety. With Loco2 you can adjust and change everything directly on the website which I found mighty convenient, even with issues on the platform there are multiple connections to numerous destinations daily so if you miss one or another is delayed you won'tt' be left hanging. I had a train cancelled in Germany and the station supervisor was able to reroute my entire journey without the slightest hitch. Because you're not breathing in recycled air for hours, you arrive at your destination rested and ready to explore. By train, you get to spend time in small cities and towns which planes are unable to access which I found utterly charming on little layovers to explore. No one ever said: "what a beautiful airport", but I'd argue there are stations in Europe which even the poshest of people appreciate. 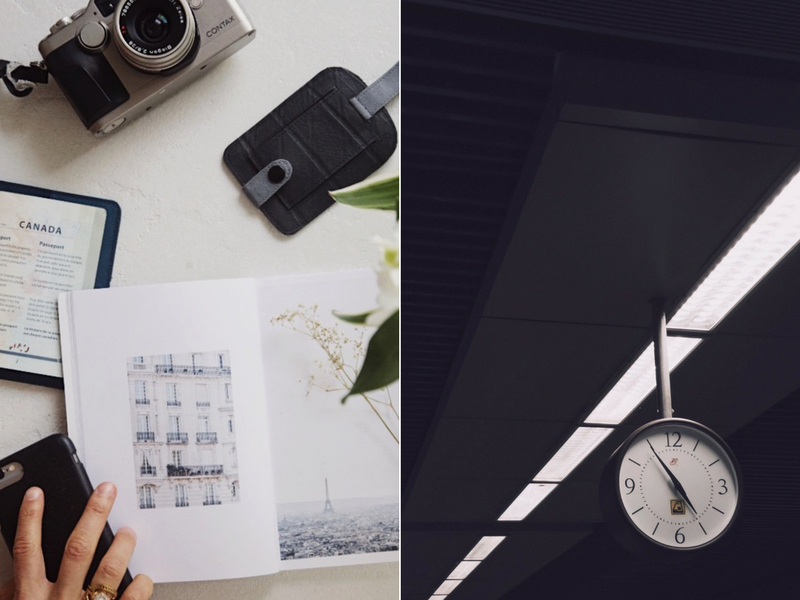 La Gare de Strasbourg in France, Antwerpen-Centraal Station in Belgium, St. Pancras Train Station in England, Estación de Atocha in Spain are amongst my favourites thus far, each one leaving you dreaming for times when architecture was art. Air travel is safe, but in terms of fatalities, there have been 0 passengers killed in train accidents since 2007/08 in Great Britan with trains coming in about 25% safer than planes in the US and Canada. No song and dance, no scratch cards, no duty-free, no overpriced food and drink cart. Just a ticket check and, apart from necessary announcements, you're left in peace. 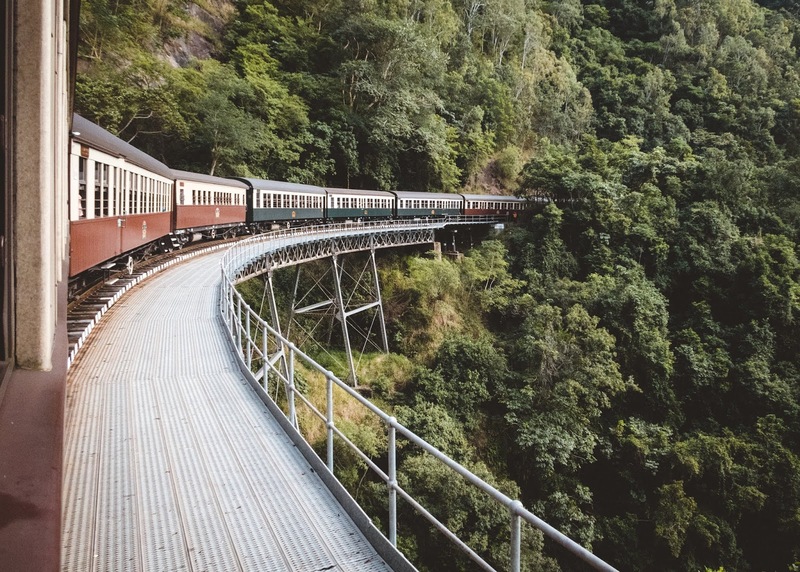 Crossing a country or a continent by train is a journey through lush landscapes you would otherwise miss, with unbelievably majestic views you'd otherwise miss by air or car.